The U.S. Navy is evolving within a changing maritime security environment, and its the tactics, talent, tools and training that make it possible. 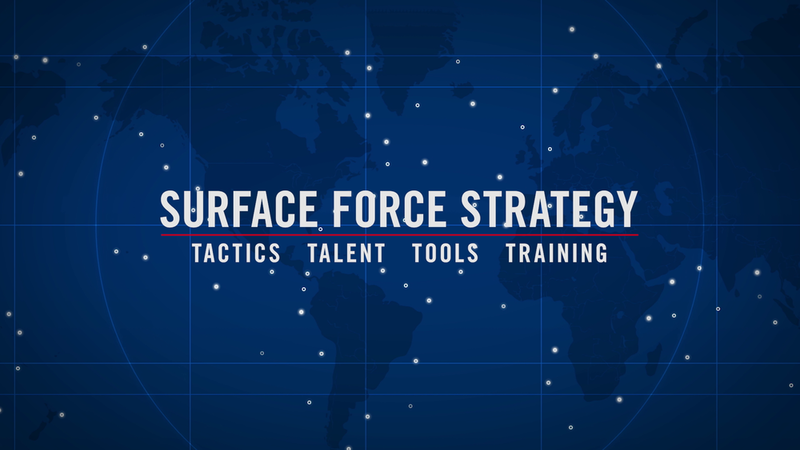 While Ten Stories was successful at selling the concept of Distributed Lethality and the need for technical superiority, the U.S. Navy required an additional film to explore the human element of their warfighting strategy. A multitude of elements would be needed to make this happen including on-camera narration, produced footage, motion graphics and realistically-rendered 3D environments. 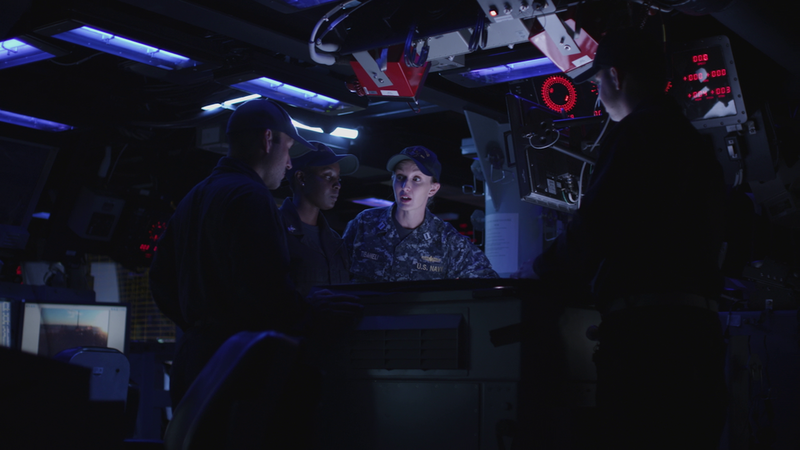 The film would need to be ready for its premiere at the Surface Navy Association Symposium, January 9–11, 2018. We had 3 months to make this request a reality. Once we identified the film's key messages, the Ten Stories creative team worked with Navy representative to produce a treatment describing the visual/creative approach, which was followed by a full script. Illustrated storyboards visually describing the action would follow, chased with style-frames which more realistically depict how shots could actually appear. Ten Stories' creative team made prompt revisions when incorporating the Government's feedback, which resulted in a timely final approval and benefited the project schedule. All of the film's roles were filled by actual Navy personnel. We worked with the U.S. Navy to determine the diversity and gender needs of each role, creative character archetypes which were applied in the casting process. Ten Stories' creative team was brought on to oversee production design, props, set dressing and wardrobe as needed for production days. We were assisted by the U.S. Navy and provided guidance in regards to style and protocol accurateness. A highly detailed production shoot schedule was created, notating every frame to be shot, down to the minute. The schedule corresponded with shot numbers seen in the AV script, and all needed participants (client, crew, actors, etc.) were clearly identified. This schedule was provided to the Government well in advance of scheduled production days to ensure logistical compatibility plus location and actor availability. Ten Stories determined that four shoot days would be needed to capture all the content. Three of those days were at military locations and the fourth day took place at Ten Stories' studios in San Diego. Our production team was approximately twelve members strong including the project's Producer, Director, Director of Photography and supporting crew. In addition, we coordinated with over twenty Navy personnel who performed in acting roles. Professional production equipment included 5K RED cameras, lighting packages, and sound recording gear. To make efficient use of it all, equipment was stored at Ten Stories; prepped for the days that were shot on-location and readily available for the day we shot in our studio. Almost immediately after the last day of content had been captured, the post-production team at Ten Stories began assembling a rough, establishing a foundation which was refined throughout the editing process. As we refine an edit, we add in all of the elements that were captured and created based on the pre-production goals. These elements include visual effects based in 2D and 3D software such as Maya, Cinema 4D, Octane, Nuke, and After Effects. Other aspects of post included audio/sound effects and mixing, an original musical score and lighting/color correction. Some projects call for delivery of more than just a video file. Some clients, like the U.S. Navy, require extra material to accompany their product. This gave us another opportunity to design and physically produce a movie poster and DVD cover. In addition, we produced a trailer that would compel viewers to watch the full-length version. Premiered at the Surface Navy Association (SNA) National Symposium, January 9–11, 2018.